Print this Despicable Me free printable coloring page , sharpen your pencils and start coloring! Use stickers, glue and glitter to make this coloring page even better. 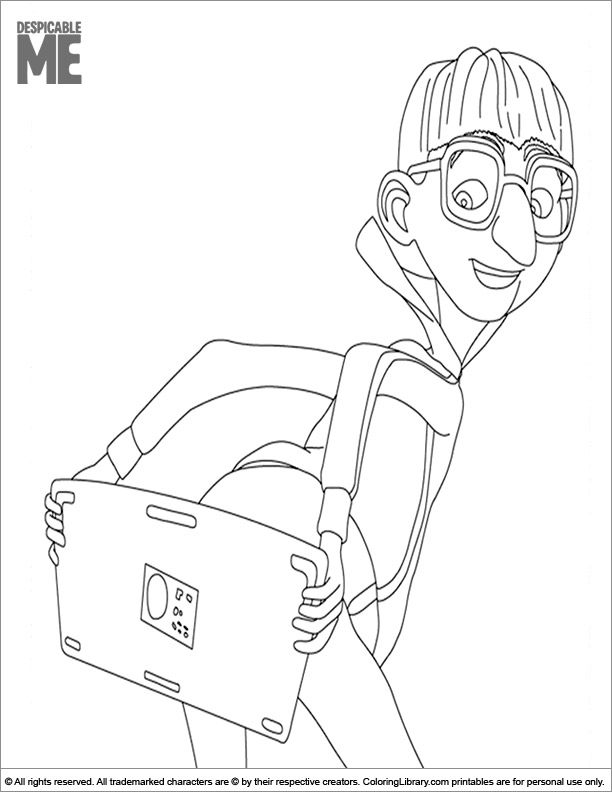 All online Despicable Me coloring pages are free in the Coloring Library. Be sure to bookmark our free site and why not let a few friends know about us if they have kids too and are looking for free activities to do.